Owning body armor these days makes a lot of sense for civilians as well as professionals in the security industry. With crime statistics through the roof in recent years, frequent terrorist attacks, violent protests and demonstrations – more and more people are viewing the purchase of a tactical vest as a sound investment. It’s hard to put into words just how important body armor is, but let’s just say – it can be the difference between life and death in a number of scenarios. Still, many survivalists are quick to buy different type of guns and ammo, but overlook protective vests. However, it’s really this simple – if you own a gun or plan on owning a gun, you should also have a bulletproof vest in your house. It’s a common trait of all survivalist to plan ahead, to be prepared. Equipping yourself with adequate protection helps you stay safe in specific circumstances. You need to understand how body armor works, what it can and cannot do for you against different threats, and how to select the best one for you. While there are 6 levels of protection in ballistic armor, there are three forms of armor platforms: covert,overt armor and tactical overt. Covert armor is worn under the clothing and can be easily concealed. It is lightweight and flexible, making it idea for prolonged use. Recent advancements in the development of body armor have allowed the use of breathable materials that improve heat transfer, making it more comfortable for the wearer. Overt armor’s main function is to protect the wearer and can also be used to intimidate the opposition. It comes in a variety of colors, styles and levels, although it is usually used when a high threat level exists. Overt armor is typically bulkier and heavier than covert and it conveys a sense of authority. Apart from offering more protection, its other main benefit is that it’s easy and quick to put on and take off. Tactical armor is worn in a situation that is associated with a high degree of risks that prove too much for soft armor to handle. This means that it is likely for armor-piercing rounds to be used. 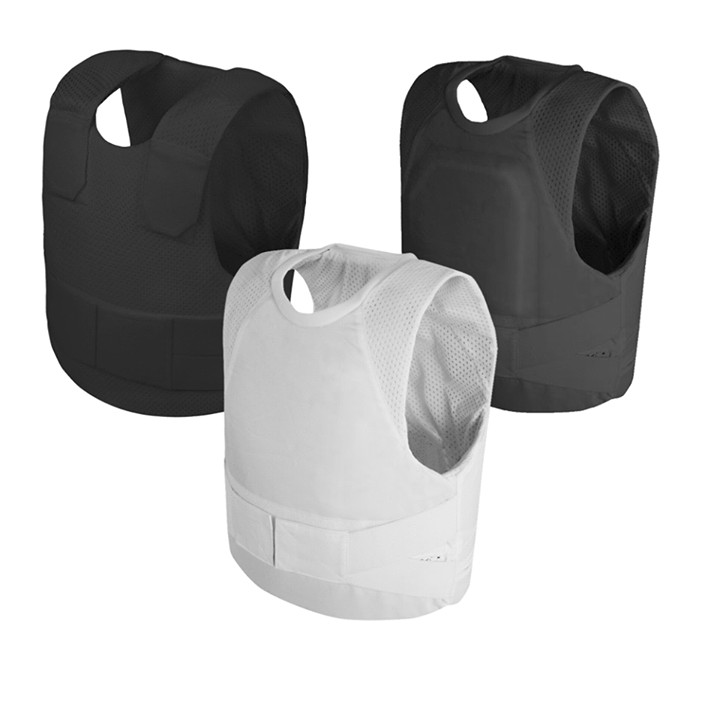 This type of system relies on a combination of overt armor fitted with additional SAPI (hard ceramic) plates and panels that cover the neck, arms, thighs and groin area for maximum safety. Body Armor is rated at different levels based on the NIJ standards. Because the protection of the armor increases with the level, so does its weight and the cost. 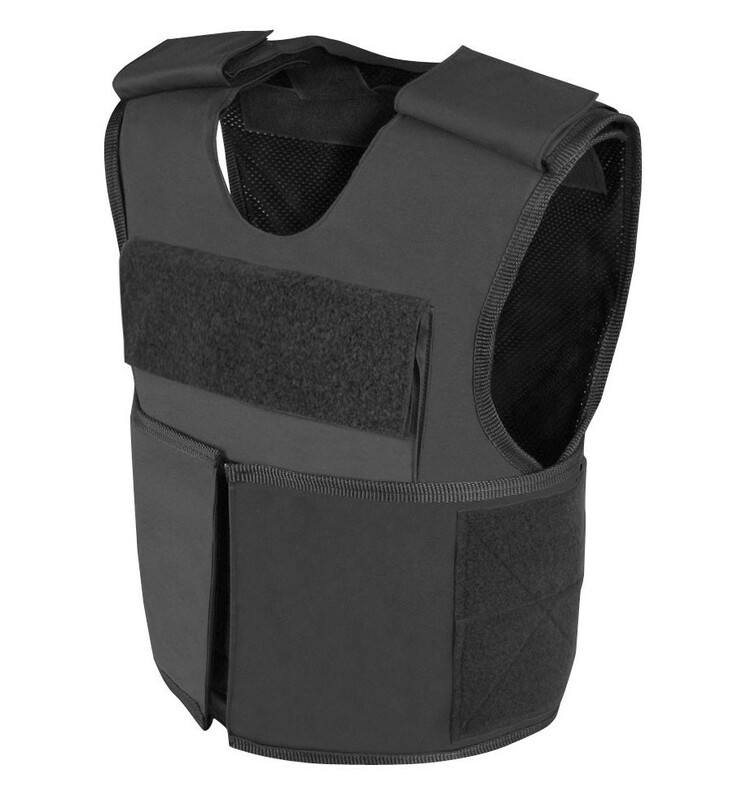 Ballistic body armor is rated by the Department of Justice against different round calibers. Basic soft body armor does not stop penetration from sharp objects and weapons, but it will stop thick-bladed stabs and offers protection against slashing attacks. These makes them suitable to wear in places, where there are large gatherings of people (protests, marches, during riots, etc.) as in close quarters – people often use concealable but deadly weapons, such as knives, broken bottles, screw drivers or other piercing objects to cause harm. Survivalists who want to ensure they receive maximum protection can go for a combination of ballistic and stab proof systems that are available for purchase online but they are more expensive. In terms of bullets – pistol bullets are easier to stop than rifle bullets, because they are slower. This type of combined protection gives the best chances of surviving in risky situations, such as riots or a scenario, where you might need to travel from point A to point B while facing attacks and poor weather conditions. Basic levels, such as Level IIA. (Level I is not in use anymore) through IIIA are considered soft body armor types and don’t always offer sufficient protection in high-tension situations, while Level IV provides the fullest protection against pistol and melee weapons but is bulkier and heavier on the wearer. This entry was posted in Year Zero Survival Blog and tagged best survival gear, body armor, doomsday preppers, guns, military, prepper gear, SHTF, survival, survival hacks, TEOTWAWKI by staff-writer. Bookmark the permalink.